Who is the Brother CS6000i Full Disclosure: We earn a commission if you click this link and make a purchase, at no additional cost to you. For? If you’re looking for a computerized sewing machine at an affordable price, then the Brother CS6000i Full Disclosure: We earn a commission if you click this link and make a purchase, at no additional cost to you. sewing machine is waiting to be discovered. We love the features, the look, the price, and the ease of use. This is a sewing machine which is open to everyone. Brother has a long history of creating amazing sewing machines and sewing accessories, and a lot of engineering has gone into this one. If you are looking for a machine to handle all of your sewing projects, then look no further. The Brother CS6000i sewing machine is packed with features. It is a computerized sewing machine so you are going to find that there are a lot of things which you can do with it. Out of the box, you will notice that you have 60 built-in stitches at your disposal. You also get 7 buttonhole options, all of which are one-step. A quilting table will help you with the larger projects. The CS6000i is computerized, and you can control all of the stitches and additional controls through the LCD control panel, which is easy to read and understand. From here, you can adjust the length of the stitch as well as the width. A start/stop pedal means that you have your hands-free for feeding your material and adjusting the stitches on the fly. There are also easily accessible speed controls. Couple all of this with an automatic needle threader and you can see how easy this sewing machine is to use. We also love the number of accessories you get with this machine. Not only do you get all of the features we have detailed above, but you also get an oversized table, accessory pouch, spool caps, pins, bobbins, needle set, ripper, cleaning brush, and a lot, lot more. You have 60 stitch options with this amazing machine. When you break that down, there is a stitch for almost any project. You have 20 regular stitches, perfect for your everyday stitching projects. There are also 20 decorative stitches, allowing you to add some flamboyance to your work. Seven quilting stitches will give you quilting options (and you have a bonus quilting table included). There are also 6 heirloom stitches and 7 auto-buttonhole stitches — everything you need for any project which you can think of. One of the main reasons we like this sewing machine, and a big part in recommending this computerized sewing machine to beginners as well as other users, is the ease of setup. The automatic needle threader will do the hard work for you. You also have easy-to-understand instructions, so even first-time users will understand how the threading system works. Once the needle is threaded, the automatic bobbin winding system will take effect, and you are ready to go. With so many stitches at your disposal, it is a benefit to have the LCD screen to choose your stitch. Most machines will have a diagram on the side of the machine detailing the stitches (and this one does too). You will then have to move knobs or levers to get the correct stitch. With the LCD, all you need to do is punch in the corresponding number, and your stitch is ready to go. We like that you have two ways to control the speed of the stitch. You can choose the speed through the LCD, pressing the pedal down fully to achieve the chosen speed, or you can adjust the amount of pressure which you apply to the pedal to move between slow and fast speeds. Both ways give you options when sewing. A free arm will help you to sew cuffs, sleeves, and hems, creating them too if you wish. For more complicated patterns, you can engage the automatic sewing feature and have the sewing machine do the work for you while your hands are left free to guide the fabric through. If you need to change directions, the stop/start button will allow you to re-position. If you have any interest in quilting, this is a great machine for you. Not only do you have 7 quilting stitches (more than many rival machines) but you also have a quilting table. The quilting table is easy to set up and attach to the sewing machine and provides you with a large surface area to work large pieces of fabric. The table is sturdy and easy to use. When we look at computerized sewing machines, we often do not recommend them for beginners or even intermediate users. This sewing machine bucks that trend. This is an accessible sewing machine which is open to all levels of users. If you are a complete novice, we would not recommend this as you very first sewing machine but, if you have had experience with any other sewing machine, you will find the instructions easy to follow and the controls intuitive to use. The Brother CS6000i sewing machine is not for complete beginners. 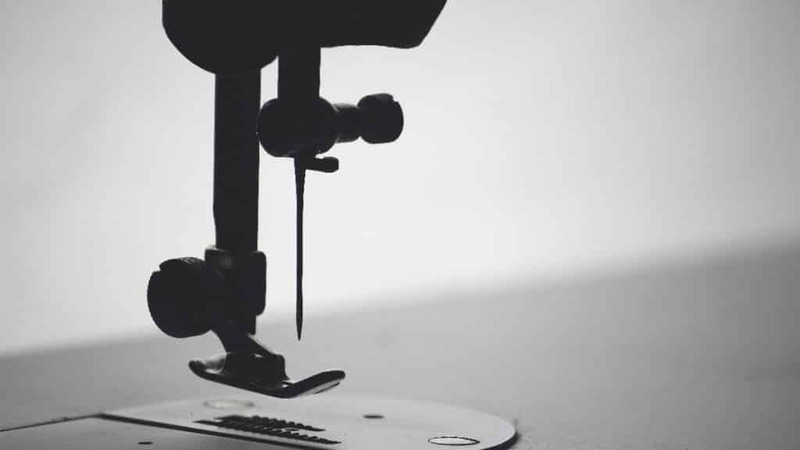 If you have never picked up and used a sewing machine before, we would recommend starting with something a little simpler until you have mastered the basics of sewing. Once you have, this will be a great machine to move onto. This is a wonderful sewing machine which will take care of most of your sewing needs. It is easy to use and extremely versatile. If you are looking to engage in works with heavy-duty fabrics, such as leather, then this machine might struggle. For more power, we would recommend the Janome HD3000 Full Disclosure: We earn a commission if you click this link and make a purchase, at no additional cost to you. . When you are looking at accessories, you do not need to go far. This computerized sewing machine comes with so many accessories that you do not need to buy any extras. The only thing we would recommend replacing would be the needles. For your regular sewing projects, the included needles are going to work fine, but if you are engaging in heavy-duty projects, you may want to invest in more durable needles. We really like the Brother CS6000i sewing machine Full Disclosure: We earn a commission if you click this link and make a purchase, at no additional cost to you. . Being computerized, it is a machine which will help you to complete your most difficult projects without being overwhelming. There are a lot of built-in stitches, but the machine has the feel of one which only comes with a few stitches. The stitches are easy to choose, easy to change, and easy to use. The LCD makes it easy to choose your stitch without having to worry about knobs and buttons; when your stitch is chosen, the start/stop button and the foot pedal make it extremely easy to use. 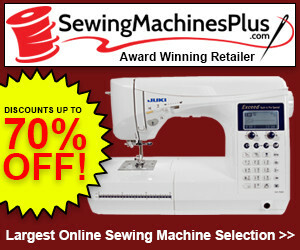 For those who want something more than just a sewing machine, there are lots of options here. The machine is tough enough to deal with your quilting projects, versatile enough to work on cuffs and hems, and good enough to buttonhole like you would not believe. 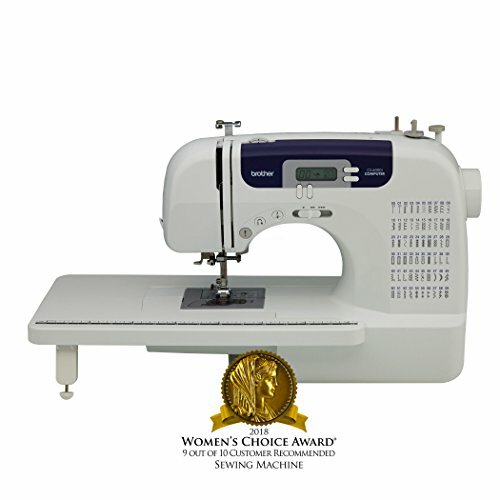 The Brother CS6000i sewing machine came in at #1 in our Best 12 Sewing Machines List. Here’s the full list, including the other 11 sewing machines. The following links will take you to the review of each machine. Brother CS6000i Full Disclosure: We earn a commission if you click this link and make a purchase, at no additional cost to you.